Well here we are here again the middle of the week. Where do the days go? 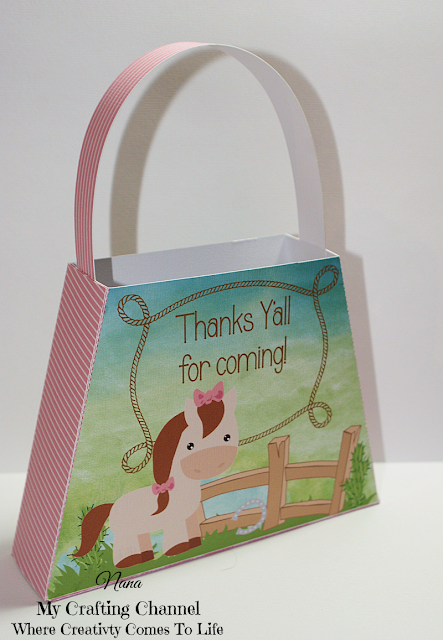 This morning I want to share this cute purse treat bag/box. I started getting requested for bigger treat boxes/bag than the average 3 inch wide ones I have been doing. 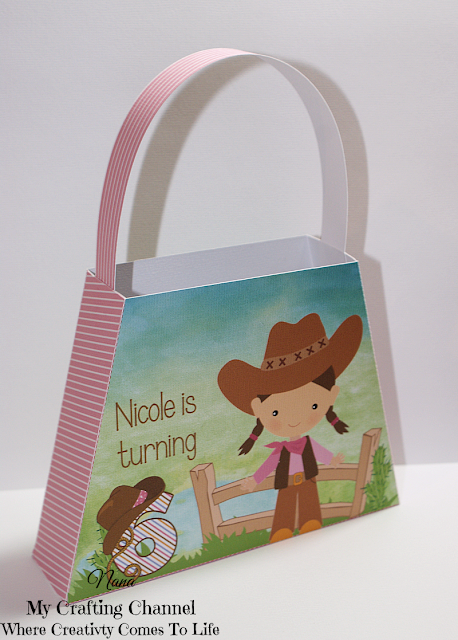 I think these will be a big hit for any little girl having a cowgirl theme party. What a adorable purse!! Love the super sweet images!!! I love this purse!!! Have a great day. This is just Precious!! Such a beautiful purse!! Absolutely adorable! I just love the cute images and colors, cute shape too! That is so DARN CUTE!!! LOVE the image, perfect for any cowgirl! What a fabulous project! I love the purse design for a treat box! The image is so sweet too!